The Functional Mock-up Interface (or FMI) defines a standardized interface to be used in computer simulations of complex cyber-physical systems resulting from an assembly of shared simulation units (FMU). 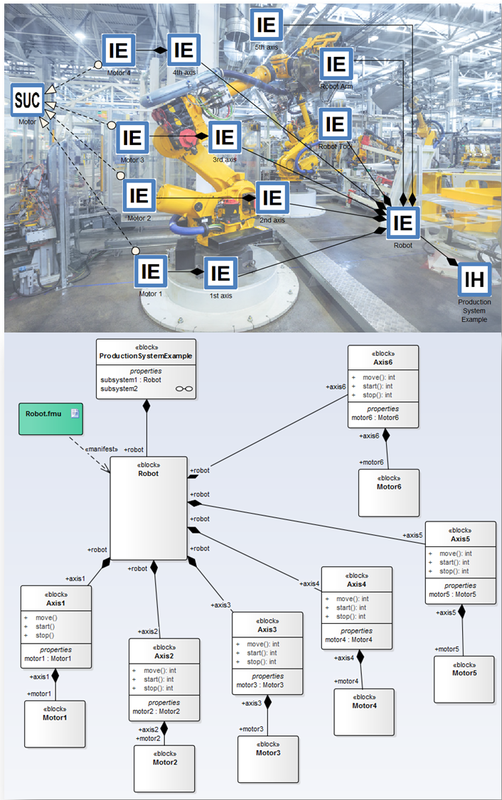 Thanks to the Enterprise Architect FMI plugin, FMI modeling and simulation activities (model-based engineering and mastering of cooperative simulation processes) can be supported by and integrated with Enterprise Architect-based technologies. There is a strong trend toward virtualization in engineering, whereby simulation replaces real testing in order to de-velop more quickly and cheaply, and with more understanding of the system. System simulation is adopted in different phases of product development and is gaining importance within the entire product development cycle, since the design of future products is carried out based on simulation models. In this context, the Functional Mock-Up Interface (or FMI) defines a standard-ized interface to be used in computer simulations for the development of complex cyber-physical systems (CPS) resulting from an assembly of shared simulation units (FMU) for the sake of model exchange as XML-based artifacts (FMI for model exchange) and their co-operative simulation (FMI for co-simulation). Thanks to the Enterprise Architect FMI plugin, existing graphical notation can be exploited (e.g. UML Diagrams) and customized (via Enterprise Architect MDG technologies) for the sake of model-based forward and reverse engineering of FMUs. 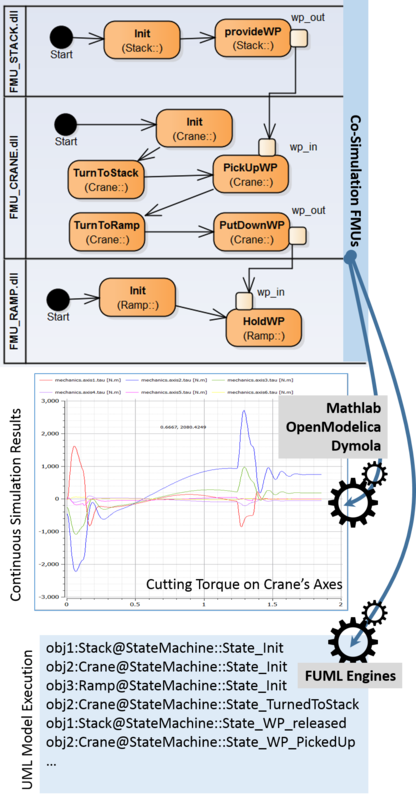 The mastering of cooperative simulation activities becomes possible, as does the graphical simulation and debugging of complex CPS. Integration with existing EA-based technologies.